Ribose is a simple, five-carbon sugar that is found naturally in our bodies. But ribose is not like any other sugar. Other sugars are used by the body as fuel, where they are "burned" by the body to recycle energy. But because they are used excessively, they are toxic. However, the body treats ribose differently and preserves it for the vital work of actually making the energy molecule that powers our hearts, muscles, brains, and every other tissue in the body. Research has repeatedly shown that giving ribose to energy-deficient hearts and muscles stimulates energy recovery. A recent study showed that in people with chronic fatigue and fibromyalgia, ribose increased energy an average of 45% in just 3 weeks. It looks and tastes like sugar. Dose is 1 scoop (5 grams) 3x a day for 3 weeks and then 2x a day. Give it 3 weeks to work. It can be added to any food or liquid. In the U.S., any brand of ribose powder is OK (get the powder instead of taking 30 capsules a day). I had so much pain and fatigue I thought I was going to have to quit teaching. When I take [ribose], I feel like a huge weight is being lifted from my chest, and I'm ready to take on those kids again!" For years, I talked about the importance of B vitamins, which are a key component of these molecules. These helped to a degree, but it was clear that a key component was missing. In looking at the biochemistry of these energy molecules, they are also made of 2 other key components—adenine and ribose. Adenine is plentiful in the body and supplementing with adenine did not help CFS. We then turned our attention to ribose. 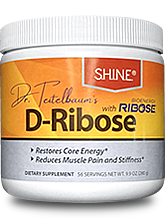 Ribose is made in your body in a slow, laborious process and cannot be found in food. We knew that CFS/FMS causes your body to dump other key energy molecules like acetyl L-carnitine. We then found that the body did the same with ribose, making it hard to get your furnaces working again even after the other problems were addressed. This was like one of those "Eureka!" moments where things came together. Not having ribose would be like trying to build a fire without kindling—nothing would happen. We wondered if giving ribose to people with CFS would jump-start their energy furnaces. The answer was a resounding yes! It is critical to use the proper dose for the first 3 weeks, which is 5 grams (5,000 mg) three times a day. It can then be dropped to twice a day. Because of its importance, it's worth looking at energy production and ribose in greater detail. Having had the chance to explore the research and speak with a number of the researchers, below is what I've learned from them. D-ribose (which is what I am referring to when I say ribose) is a simple, five-carbon sugar (known as a pentose by biochemists) that is found naturally in our bodies. But ribose is not like any other sugar. Sugars we are all familiar with, such as table sugar (sucrose), corn sugar (glucose), milk sugar (lactose), honey (predominantly fructose), and others are used by the body as fuel. These sugars are consumed and, with the help of the oxygen we breathe, are "burned" by the body to recycle energy. Because they are used excessively, they can also be toxic, as we've discussed earlier. Ribose, on the other hand, is special. When we consume ribose, the body recognizes that it is different from other sugars and preserves it for the vital work of actually making the energy molecule that powers our hearts, muscles, brains, and every other tissue in the body. Normal, healthy heart and muscle tissue has the capacity to make all the ribose it needs. When normal tissue is stressed by overexertion, several days of rest will usually allow it to fully recover. The muscle may be sore during recovery, as we frequently see for the three or four days after a hard day of yard work or after a weekend pick up football game, but eventually energy levels will be restored and the soreness will disappear. But when the muscle is chronically stressed by disease or conditions that affect tissue energy metabolism, the cells and tissues simply cannot make enough ribose quickly enough to recover. Hearts and muscles just don't have the metabolic machinery they need to make ribose very efficiently. 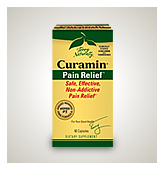 The result is chronic, persistent pain, stiffness, soreness, and overwhelming fatigue that may never go away. Clinical and scientific research has repeatedly shown that giving ribose to energy deficient hearts and muscles stimulates energy recovery. One important study involved healthy athletes participating in high-intensity, endurance exercise over the course of one week. After exercise the energy level in the athlete's muscle was reduced by almost 30%. Giving 10 grams of ribose per day for three days following exercise restored muscle energy levels to normal, while therapy with placebo provided virtually no effect.20 This study clearly showed that ribose stimulated the energy recovery pathways in the body, helping the muscle rebuild its energy supply quickly and completely. Even after three days of rest, muscle that was not given ribose remained energy-starved and fatigued. Two very interesting studies in animals showed how dramatic the effect of ribose could be on energy recovery in fatigued muscle. These studies were conducted by Dr. Ron Terjung, one of the top muscle physiologists in the U.S. In their research, Dr. Terjung and his co-investigators found that ribose administration in fatigued muscle increased the rate of energy recovery by 340% to 430%, depending on which type of muscle was tested.21 He also found that even very small amounts of ribose had the effect of helping the muscle cell preserve energy, a process known as energy salvage, and the higher the ribose dose, the more dramatic the effect on energy preservation.22 Although this groundbreaking research was done in animals it was instrumental in defining the biochemistry and physiology associated with the use of ribose in overcoming heart and muscle fatigue. But most of us with CFS and FMS are neither top athletes nor animals, so the question remains, "How will ribose affect me?" I found this report intriguing and decided to design the larger study in patients with fibromyalgia or chronic fatigue syndrome which I began to discuss earlier. Along with two research collaborators, I recently published a scientific paper describing the results of this research. The study we designed was intended to determine whether or not ribose would be effective in relieving the overwhelming fatigue, pain, soreness, and stiffness suffered by patients having this debilitating condition. Our study included41 patients with a diagnosis of fibromyalgia or chronic fatigue syndrome who were given ribose at a dose of 5 grams three times per day for an average of three weeks. We found the ribose therapy led to significant improvement in energy levels, sleep patterns, mental clarity, pain intensity, and well being. Of the patients participating in the study, 65.7 % experienced significant improvement while on ribose, with an average increase in energy of 44.7% and overall well being of 30%—remarkable results from a single nutrient!19 The only significant side effects were that 2 people felt too energized and hyper/anxious on the ribose. This is simply dealt with by lowering the dose and/or taking it with food. The relief patients feel with ribose therapy is heartwarming, and goes directly to the dramatic impact ribose has on increasing energy, overcoming fatigue, enhancing exercise tolerance, and raising the patient's quality of life.